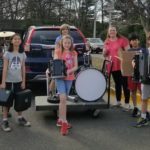 Band teacher and students at Lake Anne ES happily help move instruments from the car to the classroom. 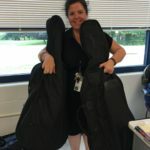 All of these instruments were donated to BC for young musicians. 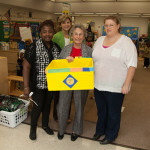 Second delivery to the Houston area Head Start program. 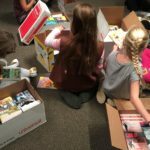 The flood waters may have subsided but the need is still great. 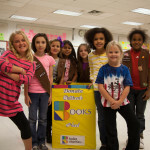 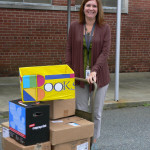 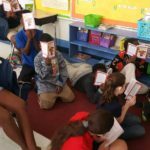 Annandale Terrace ES students benefit from your donations. 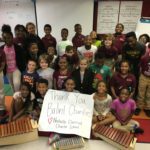 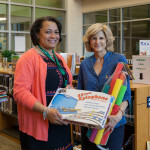 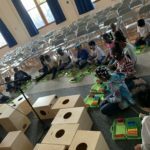 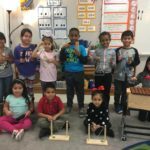 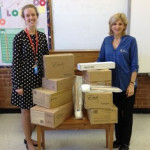 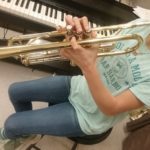 Thanks to a donation from the Greater Falls Run Lions Club, Ms. Hankerson at Lafayette Upper ES received much needed musical equipment delivered by Aimee Balint Karaitis. 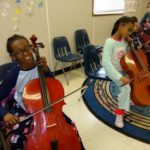 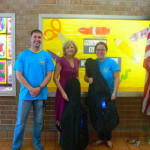 Happy young musicians at Annandale Terrace Elementary. 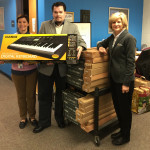 We could not provide items like these without our donors! 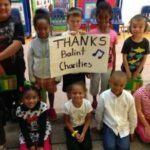 Thank you your giving spirit! 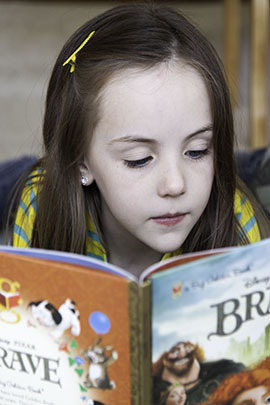 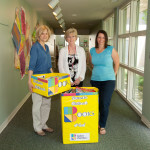 Thanks, again, to our volunteers for delivering nearly 600 books to Higher Horizons. 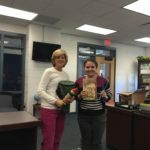 We appreciate your time and effort, and always with smiles! 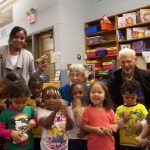 — with Cassidy Milne, Sam Balint, Higher Horizons Head Start & Early Head Start and Fairfax County Public Schools. 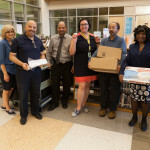 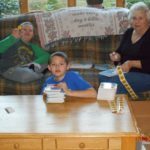 Volunteers putting stickers on nearly 1500 books – and in record time! 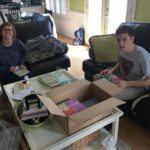 Thank you, Rebekah and Sam, for your help! 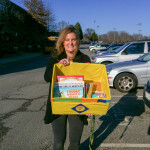 Delivering books to the Big Brothers/Big Sisters program in Pennsylvania. 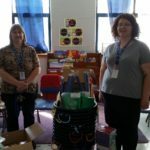 Thanks Debbie Eggleston for making the delivery for us. 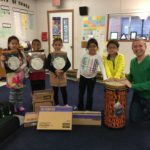 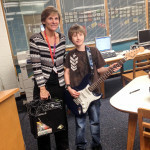 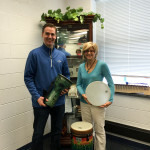 Jonathan McCormick, Weems ES, receives instruments for his music program. 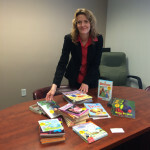 Cynthia Peshek , MA RD, Interim Outreach Program Manager for Ampla Health received books for their Reach Out and Read patients. 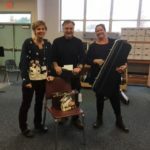 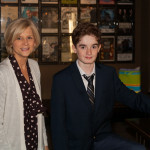 Mitch Axman accepts a donation of musical equipment from Balint Charities. 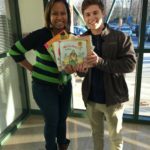 Mitch goes above and beyond for his students at Independent Hill School, PACE East Program in Prince William County Virginia. 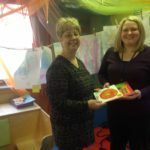 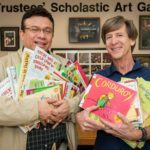 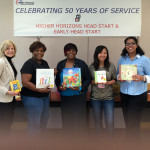 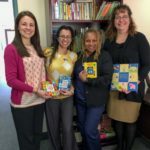 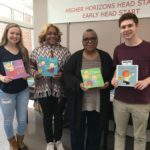 Higher Horizons Head Start receives a large donation of books for their program. 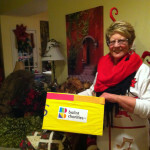 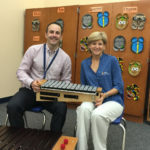 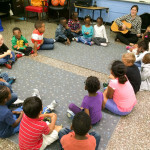 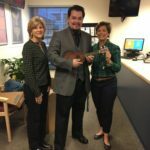 Fran and Barbara Balint delivered musical instruments to the children at the Fredericksburg Regional Head Start program. 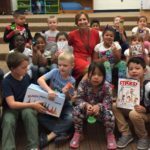 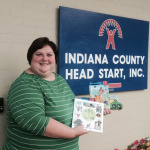 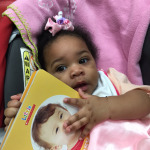 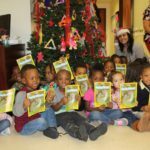 Our book donations to Reach Out and Read help children like this at the Martin Luther King-Children’s Health Center and the Good Hope Road-Children’s Health Center in Washington D.C.
BCI is supporting the Indiana Pennsylvania Head Start program by supplying books for their children. 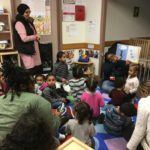 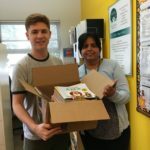 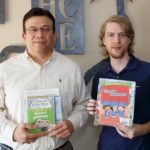 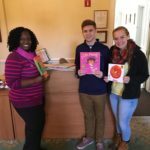 BCI donated nearly 1000 books to Comfort Cases, an organization that provides the essentials to children on their journey to find a home through the foster care program.